We all know it’s a struggle to go to the auction and raise your hand with everybody else fighting for the same inventory. Meanwhile, consumers in your backyard are always trying to sell cars themselves. At least according to Martin Nissan General Manager Carl Bauer. Typically, consumers either price their vehicles way too high, and sometimes what they are asking for is too low. “We just want to help them out,” says Bauer. People come in and we are transparent that this is a wholesale offer. Consumers have a great experience because they get a check in their hand, and a lot of the time these exchanges turn into sales because when they sell their car typically they need another car. 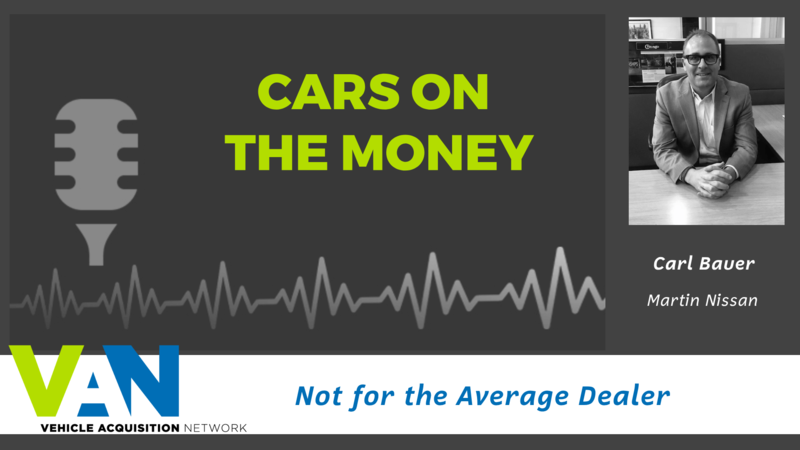 “A lot of times these sellers also need to buy another car. So that’s another great benefit from using the VAN platform,” says Bauer. Carl and his team at Martin Nissan began using the V.A.N platform in the early part of 2018. Through VAN’s partnership, the dealership has been producing 50-100 new opportunities each month from consumers listing their vehicles online for sale. Go Here to Get Your Free Market Analysis Today!